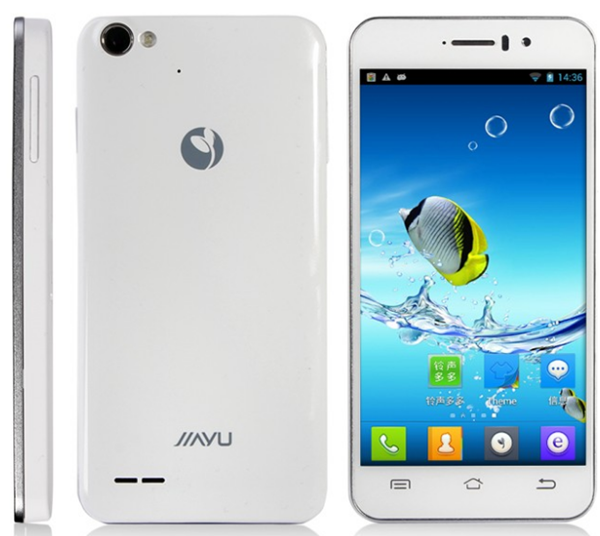 We came to know that the Turbo version of Jiayu G4 is now available in India and it is available with the AndroidGuruz team. This version is worth every penny with the latest Android version, 2GB RAM, Turbo processor and 13MP of Primary Camera. As compared to the previous version where this device had 1GB of RAM it is considerably costly but all the specifications of this device are really good. Now Let us talk about them in detail. We are talking only about the specifications on paper and sooner we will be putting the hands-on video and the detailed review here, as we have already got the device with us. The display size is of 4.7 Inches but the pixel density 312PPI is not that great (when compared with the HTC One or iOcean X7) but it fairly good if you are expecting anything better than Micromax Canvas 2. Its benchmark scores will be good enough for you to enjoy the High Definition games like Asphalt and similar others and this is due to the present of MediaTek Turbo Quad Core Processor MTK6589T which is clocked at the frequency of 1.5 GHz and this is further supported by 2GB RAM. The primary camera of this device is 13MP and you will see the actual clarity on our YouTube channel once its full review is uploaded in few days. The internal storage capacity of this device is 32GB which is good enough to not ever utilize the external memory card slot on the device but still you can use the slot to increase the storage capacity by 32GB. Other common connectivity options are also available with this device like WiFi, Bluetooth, Cellular HSPDA data. The secondary camera is of 3.0 MP which is good enough as we don’t expect it to be capturing heavy and detailed images. As a convention it is a Dual SIM smartphone wherein you will have 3G working on both the SIM slots (an advantage over HTC One Dual). The Gorilla Glass 2 Display coating available on the display also makes it scratch resistant to a certain limit but the use of Screen guard is definitely suggested. I am interested in buying it. Where do I get one from? its available through android gurus – please check their website.